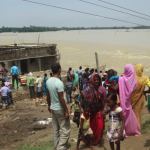 The flood water recedes in several places in Bihar, leaving behind a trail of destruction. The state authorities are gearing up to conduct a complete assessment of the situation and the damage caused due to floods. 19 districts are majorly affected in the state due to incessant rain, claiming over 500 lives. 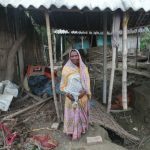 People, particularly those who are the worst affected such as Dalits, Mahadalits and those living near embankments are struggling to bring their life back to normalcy. 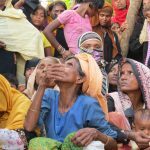 Many need support in areas around WASH, shelter and food security. 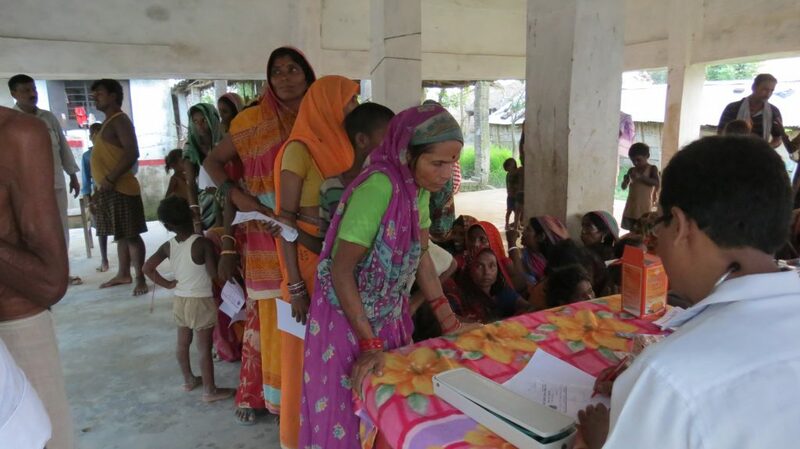 Welthungerhilfe and its partner GPSVS has focused its intervention in one of the most affected districts of Darbhanga. 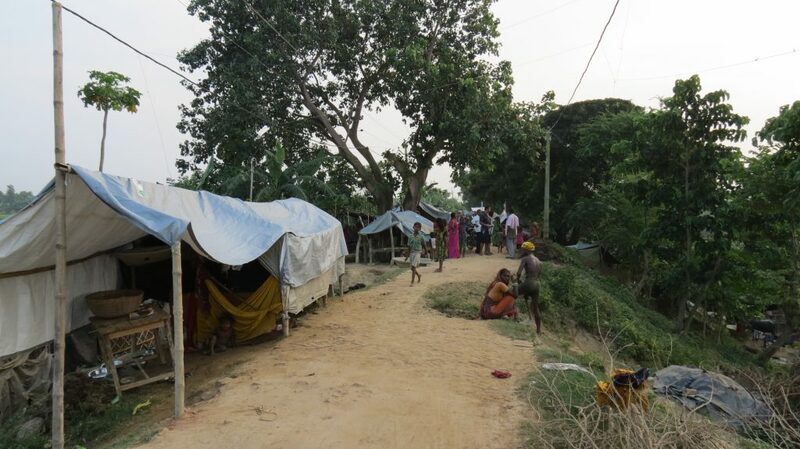 1000 families have received shelter and hygiene kit so far. 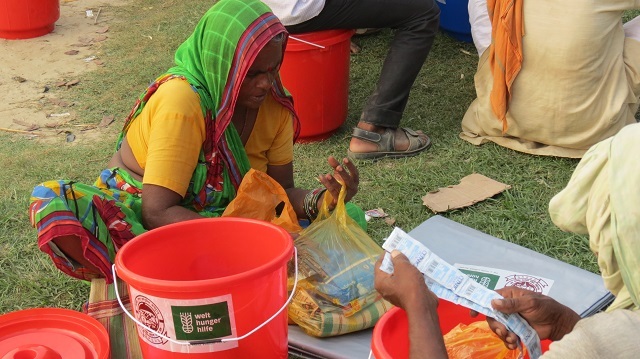 While the shelter kit has tarpaulin sheets, the hygiene kit has (buckets, mug, water purification tablets, toothpaste and tooth brushes, soap and washing powder, nail cutter, comb, mosquito net and sanitary napkins. 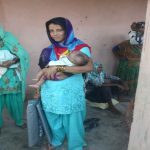 In addition, 225 pregnant and lactating mothers have received a supplementary food kit, which includes nutrimix, a supplement for children, lentils, oil, jaggery, Sattu (roasted and powdered gram), salt, sugar and gram. 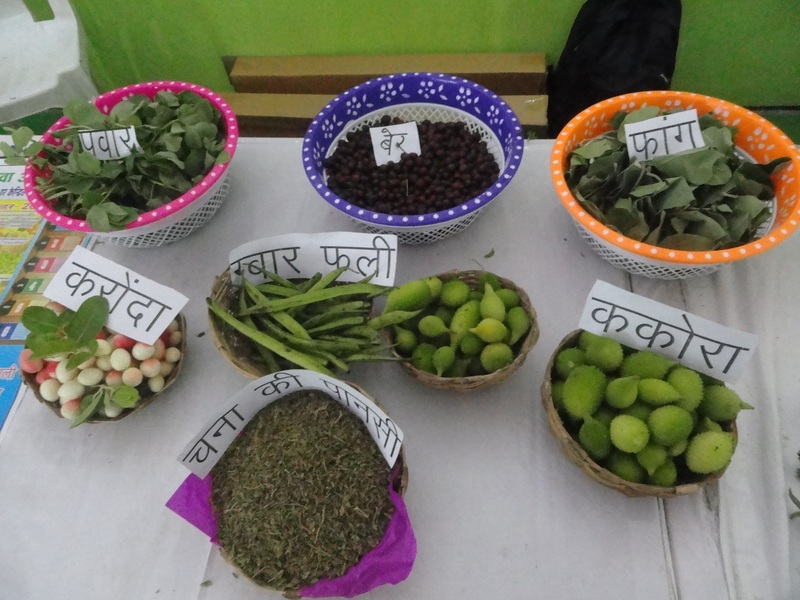 GPSVS has also begun to organise health camps. Places where there is a paucity of government doctors, private sector doctors have been called in to conduct check-ups. 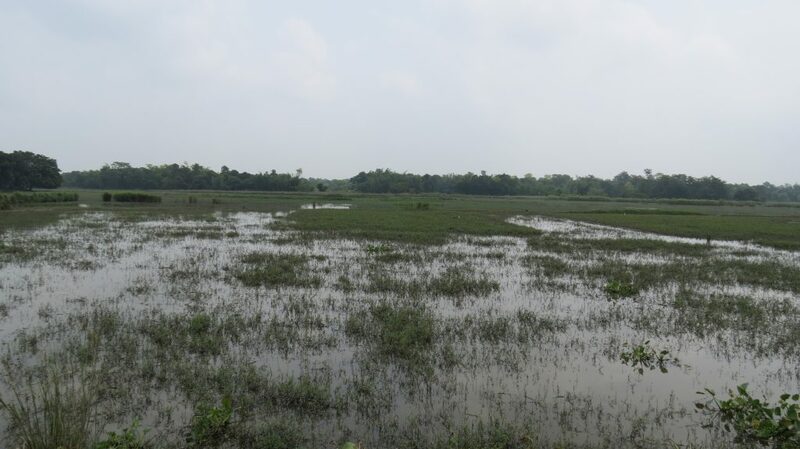 As water recedes, risks escalate of water borne diseases. Cases of diarrhoea are already on the rise. 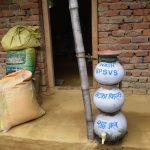 Welthungerhilfe has partnered with Ghoghardiha Prakhand Swarajya Vikas Sangh (GPSVS) to provide relief to flood survivors of 20 villages in the blocks of Ghanshyampur, Gora Boram and Tardih.